I've got a weak spot for leather goods (case in point). My experience working with leather on my own is limited to a pair of leather strip earrings. Just a few snips with scissors. I'd really love to make a nice bag for my camera. Lately, I've been lugging it around in an old cosmetic bag-- shameful! When I came across Matt's work over at Wood&Faulk my jaw dropped a little. 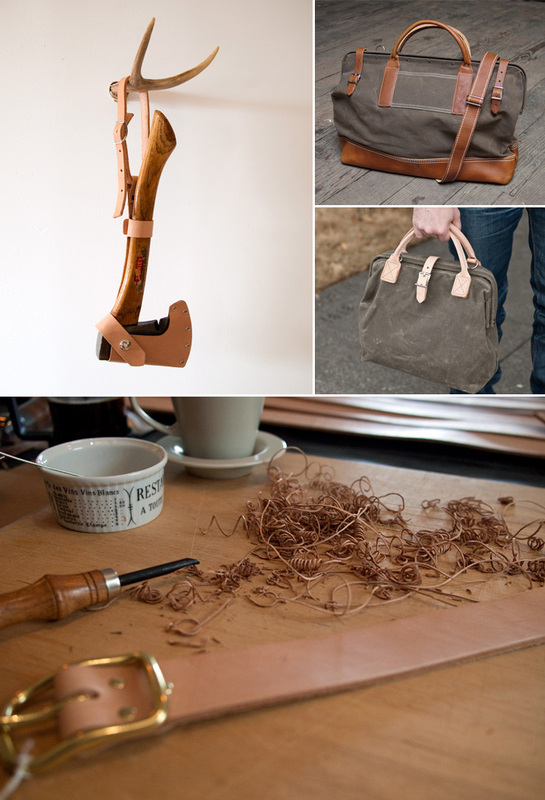 He creates top-notch pieces using mostly wood and rich leather. There's so much craftsmanship and quality that you can see in each item he produces. 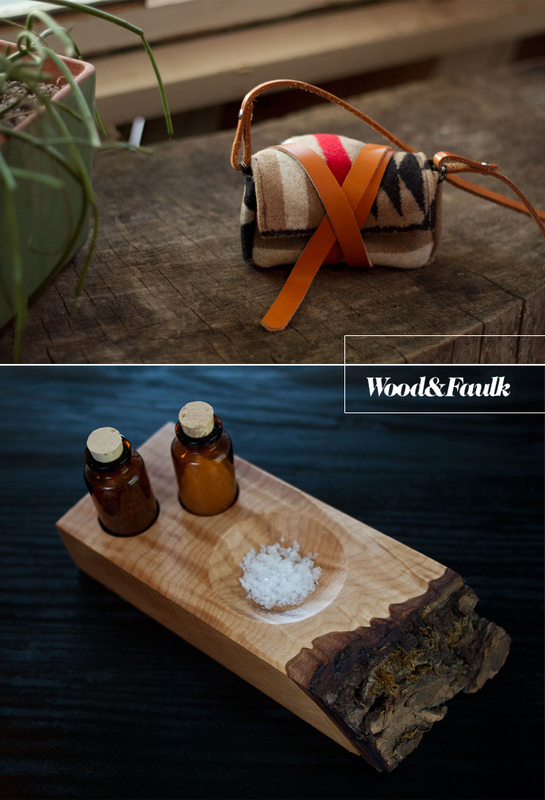 Plus, there's great gift ideas for the guys in the Wood&Faulk shop. My little brother would love that ax shield and I'd love those canvas and leather bags. Oh my do I have the perfect DIY tutorial for your future camera bag! And it looks just like the one in the photo! Seriously! Not a surprise that it is Matt's work. I thought it looked too similar for there to be a difference.